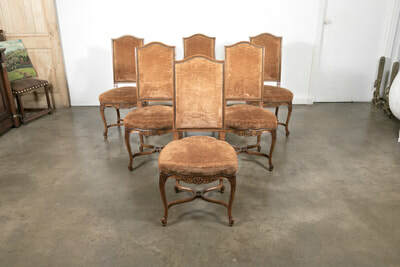 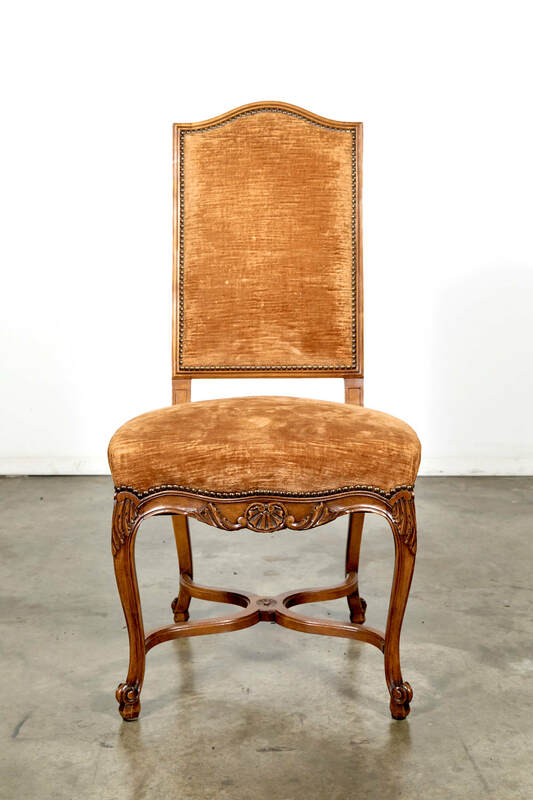 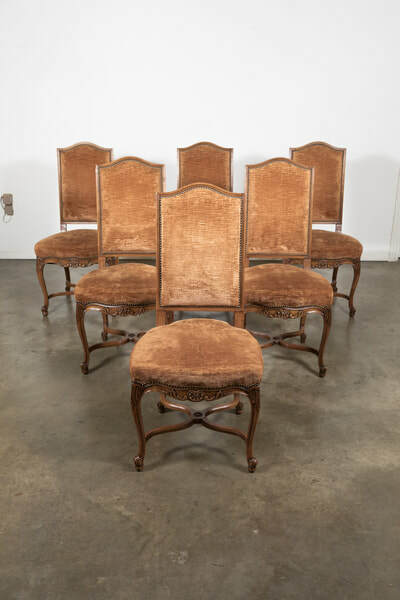 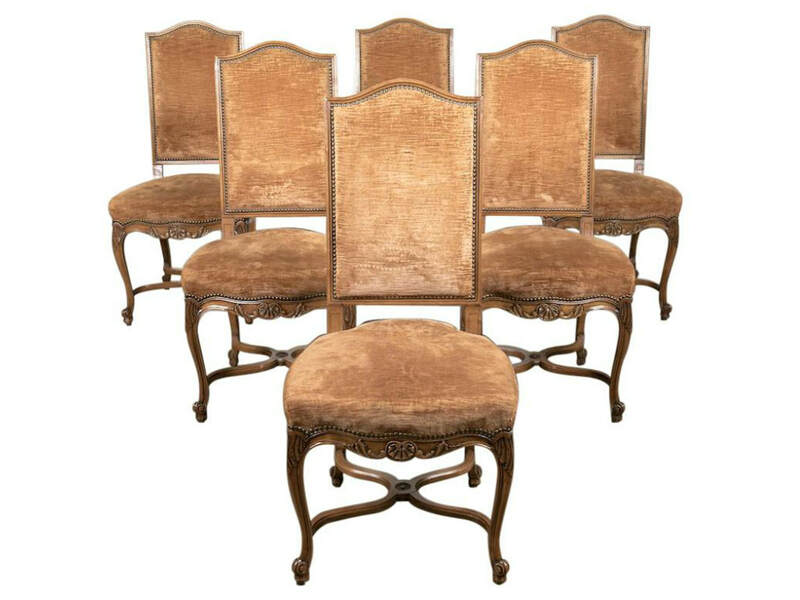 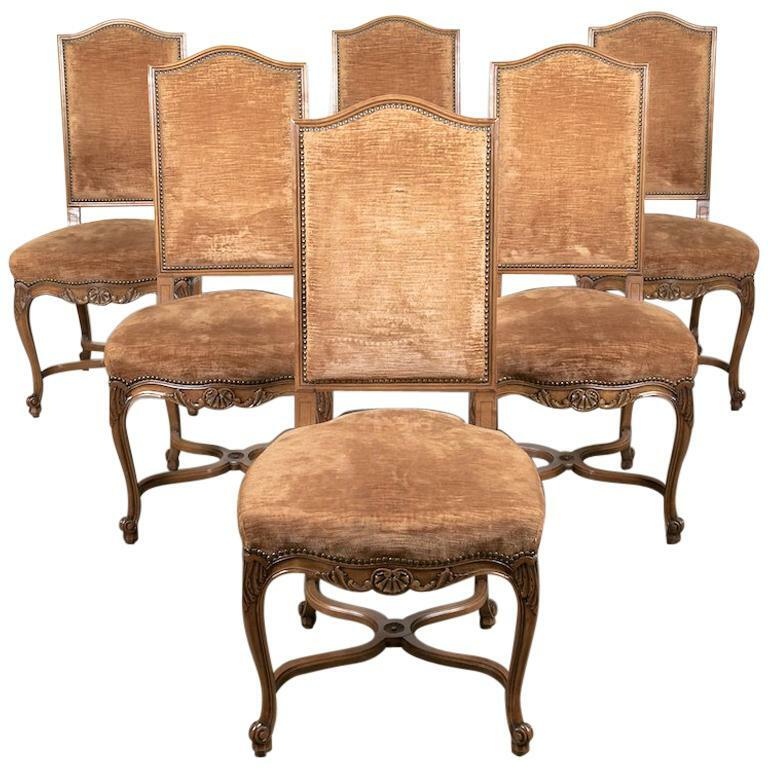 Set of six French Louis XV style dining chairs, circa 1930s. 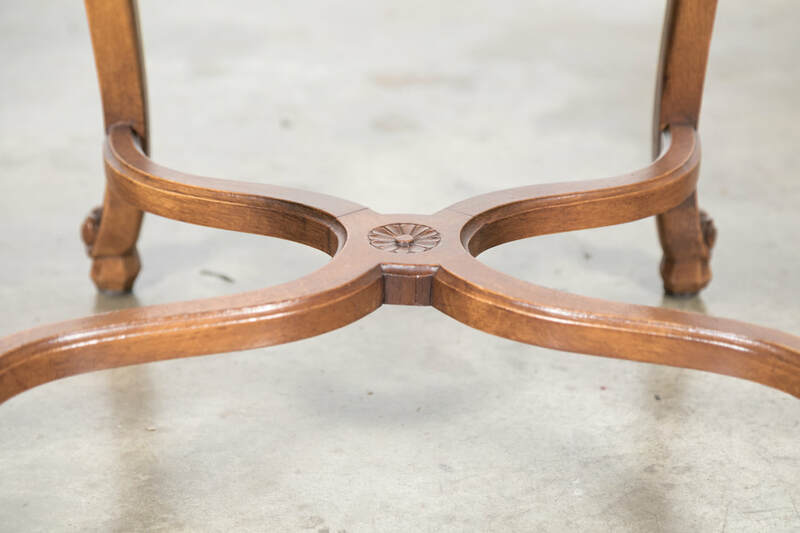 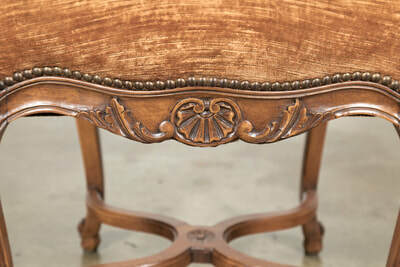 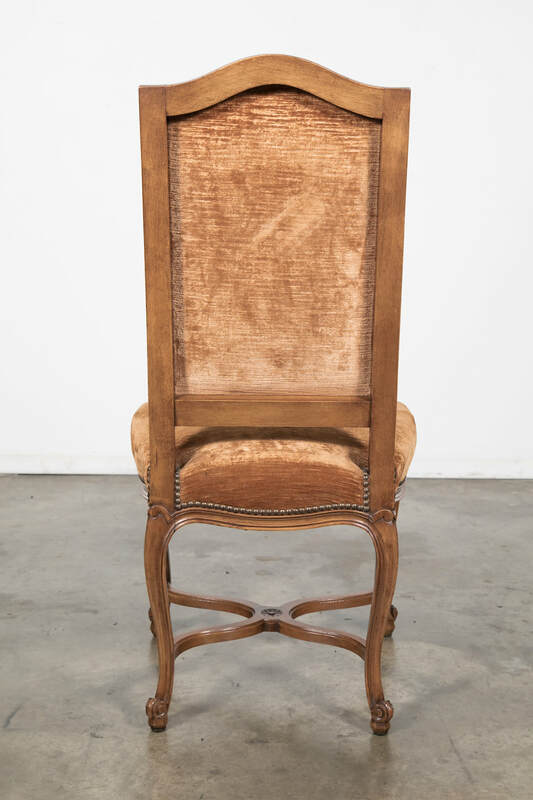 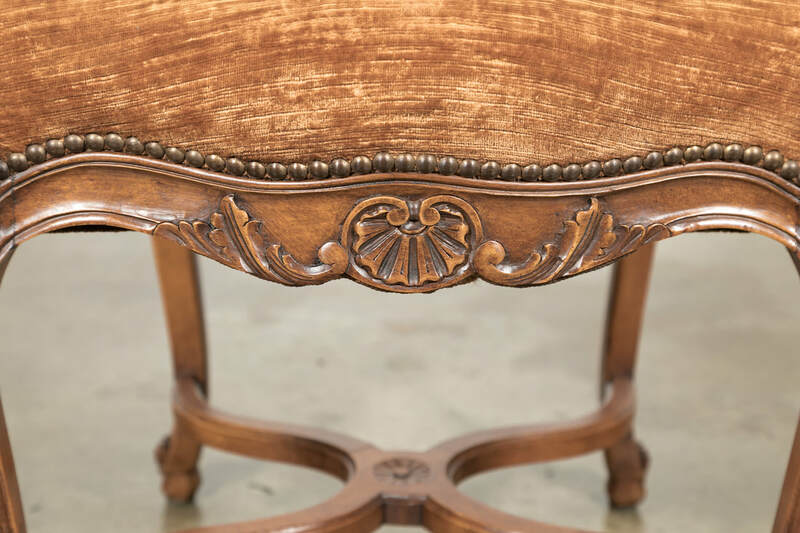 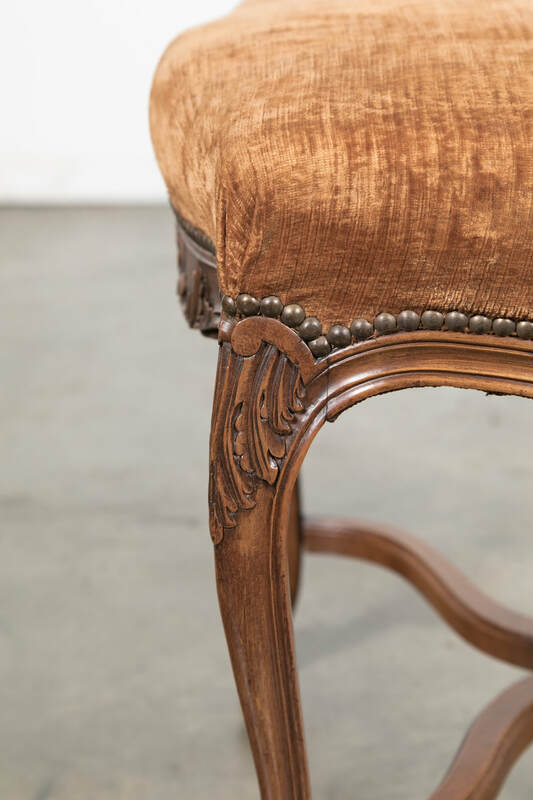 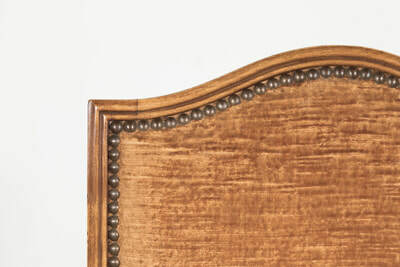 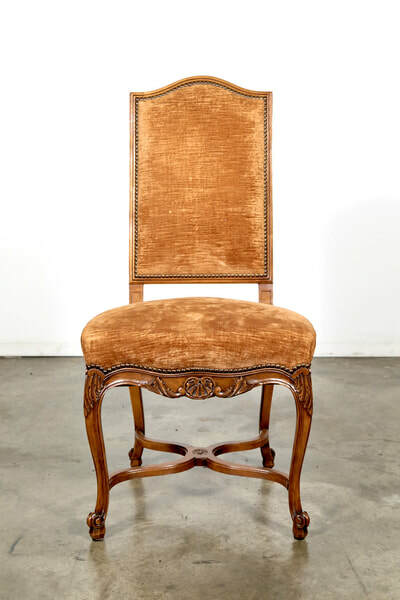 Handcrafted of cherrywood, and having a high chapeau de gendarme back and brass nailhead trim, each side chair is decorated with shell motifs on the apron and raised on graceful cabriole legs with carved knees ending in scrolled French toes. Joined by a carved X-stretcher. 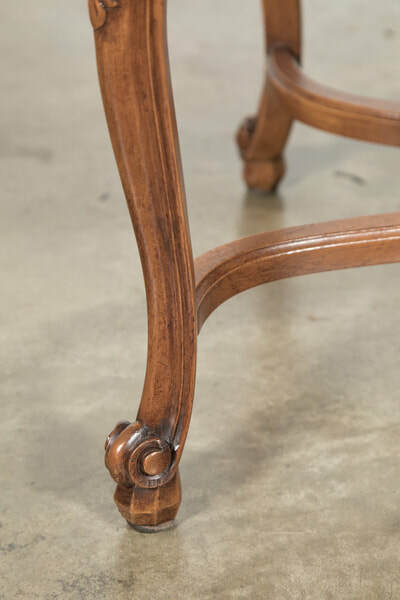 Chairs are solid and very sturdy. 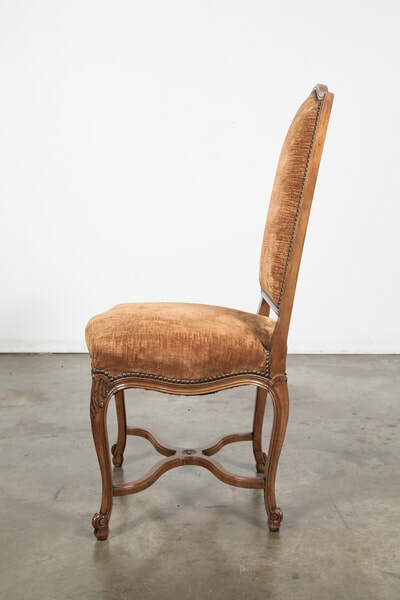 back h - 42" seat h - 19.5"